The Trump administration is set to announce that Iran is not in compliance with the Chemical Weapons Conventions, marking a significant departure from that of the Obama administration, which refrained from making such a declaration amid efforts to solidify the landmark nuclear agreement. The declaration comes in the aftermath of a flurry of activity by both the White House and State Department highlighting Iran's malign activities across the globe. 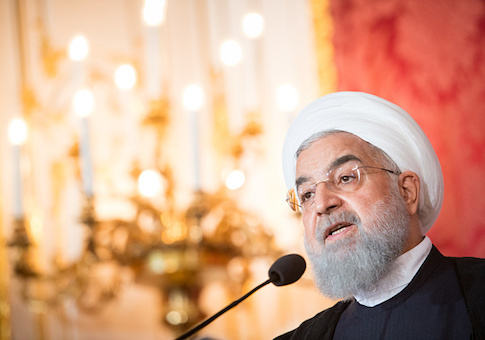 A bevy of economic sanctions on Iran were reimposed earlier this month, and the chemical weapons action is likely to further tighten the noose on the Iranian regime as part of what the administration has called a "maximum pressure" campaign on Tehran. Syria's Bashar al-Assad, backed by Iranian forces, is believed by the international community to have deployed chemical weapons, with support given by Tehran. Multiple sources with knowledge of the matter confirmed that next week the Trump administration will transmit a formal finding to Congress regarding Iran's non-compliance with the conventions, which ban stockpiling and use of these lethal weapons. The use of chemical weapons in the Middle East has created scores of civilian casualties just in Syria alone. The Obama administration stopped short of declaring Iran in non-compliance during its time in office, but did inform Congress that it was not able to verify Iran as upholding the conventions. One senior congressional official with knowledge of the CWC announcement told the Washington Free Beacon this designation is a long time coming. "No one who's actually an adult is surprised by this news," said the source, who could only speak on background about upcoming actions. "The Iranians have never met an arms control agreement they didn't violate. That's why the nuclear deal was such a transparent joke. The IAEA verifies what it's allowed to verify and on everything else the Iranians cheat. The Trump administration should draw the logical conclusion and force the Europeans out of the deal, which so far they've refused to do." This entry was posted in National Security and tagged Chemical Weapons, Iran. Bookmark the permalink.